Religious communities in Myanmar's biggest city Yangon face tremendous political, legal, and social changes as their country is "opening up" after decades of isolation. 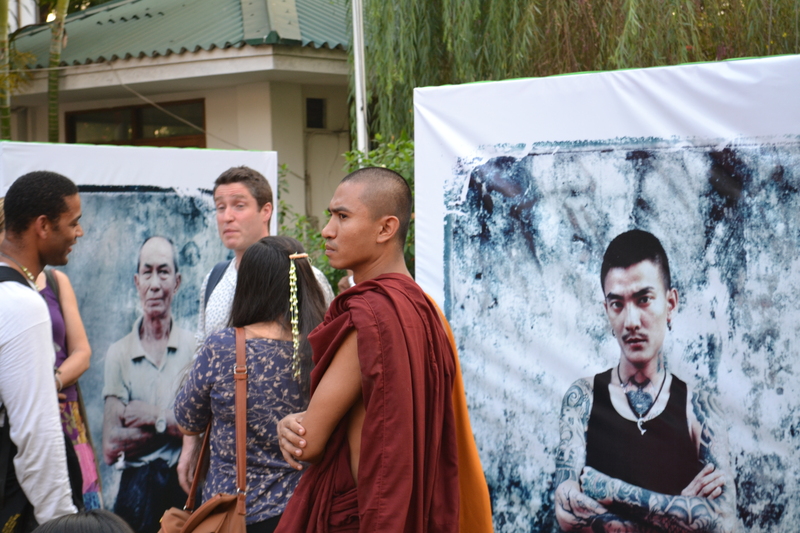 At the "Yangon Photo Festival", local artists display portraits of inhabitants of the city, attracting expat and local visitors alike. My photograph evokes the atmosphere of a cosmopolitan city on the rise, the uncertainty of pluralism, and the oscillation between critical and hopeful outlooks which I encounter in my research.